Apple A1343 MagSafe 1 Charger 85w for MacBook Pro to 2012 Vgc. Output Power: 45W Max. Macbook Air 11" 13"A1374, A1370, A1237, A1304, A1369, A1244. Line length: 1.5m. 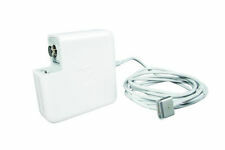 ThisPower Adapter Extension Cable is an AC extension cord that provides extra length for your Apple Power Adapter. 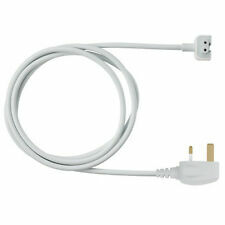 1 x AC Extension Cord (White Color, UK Plug). Our goal is to make sure that you can find exactly what you are looking for and make it easy for you to place your orders. Features a LED indication light at the head of DC connector. We are always here to help. Output: 16.5V @3.65A. We will work with you to until you are satisfied. Information Links. North East Tools was established in 2018. 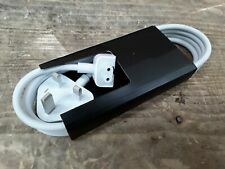 1 X Adapter with free cable. 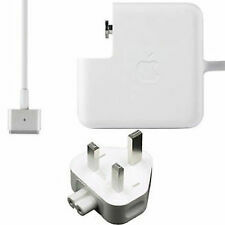 Connector:T adapter. Output Power85W. Output:20V 4.25A. Input AC 100-240V 1.5A 50-60Hz. Such as battery, ac adapter etc. (Apply for Battery Only). All item passed FCC / CE / ROHS certificates. 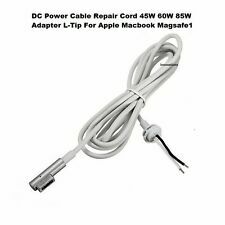 New listingGenuine Apple 45W MagSafe 2 Power Adapter Charger for Macbook Air 11" 13"
Compatible only with MacBook Air featuring MagSafe 2 power port. An AC lead is provided with the adapter for maximum lead length, while the AC wall adapter (also provided) gives you an even easier and more compact way to travel. 5 out of 5 stars - Genuine Apple 45W MagSafe 2 Power Adapter Charger for Macbook Air 11" 13"
1 product rating1 product ratings - Genuine Apple 45W MagSafe 2 Power Adapter Charger for Macbook Air 11" 13"
COMPATIBLE MODELS Apple MacBook Pro MagSafe 1 13" 13.3" A1181, A1184, A1185, A1278, A1280, A1330, A1334, A1344, 661-0443, 661-3957, 661-4269, 661-4339, 661-4485, ADP-60AD, MA254LL/A, MA255LL/A, MA472LL/A, MA538LL/A, MA538LL/B, MA699LL/A, MA700LL/A, MA701LL/A, MB061LL/A, MB061LL/B, MB062LL/A, MB062LL/B, MB063LL/A, MB063LL/B, MB990LL/A, MB991LL/A, MC374LL/A, MC375LL/A, MC461LL/A, MC700LL/A, MC724LL/A, MD101LL/A, MD102LL/A, MD313LL/A, MD314LL/A. 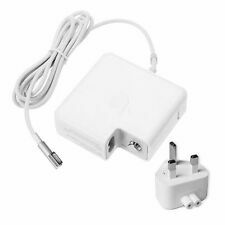 PACKAGE CONTENTS: 1 X 45W Power Adapter Charger For Apple MacBook Air Magsafe 1 Input Voltage Range: AC 100V - 240V SPECIFICATION: Output Voltage: DC 16.5V 3.65A Power: 45 Watts What is in the Box: 1 x MagSafe 1 45W Adapter 1 x UK Power Plug (Detachable). 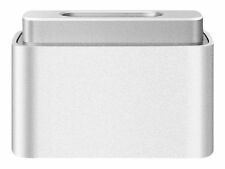 Genuinely Refurbished MAGSAFE 2 45w for MACBOOK AIR 11" & 13" (Mid 2012 -2015 ) with "T" Shape Tip. 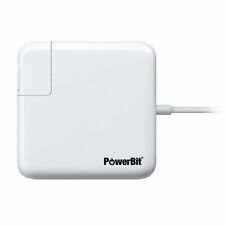 45W Magsafe 2 Power Adapter Compatible List For example, if Volex. 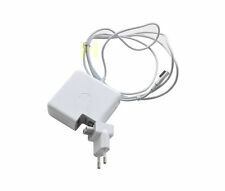 Samsung, LiteON are regarded as the OEM of the power cords and adapters. For Macbook Pro Air 11" 13" 15" 17". We closely monitor quality of our products due to direct links to manufacturers. Professional staff makes sure we stay on top of competition with better quality and bigger selection. Q: My Item is faulty, or I have received the wrong item?.